The Persuaders! is a 1971 action/adventure series, produced by ITC Entertainment for initial broadcast on ITV and ABC. It has been called "the last major entry in the cycle of adventure series that had begun eleven years earlier with Danger Man in 1960", as well as "the most ambitious and most expensive of Sir Lew Grade's international action adventure series". The Persuaders Series was filmed in France, Italy and England between May 1970 and June 1971. Despite its focus on the British and American markets, the show was popular elsewhere. 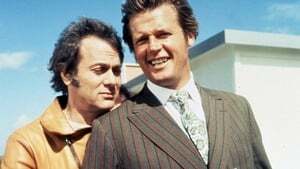 It won its highest awards from Australia and Spain, while Roger Moore and Tony Curtis were decorated in Germany and France for their acting. It persists in the memory of European filmmakers and audiences, having been casually referenced in 21st century productions from Sweden, France, Britain and Germany. Write a review for The Persuaders!